You read Chuck Wendig’s blog, right? More importantly, you read his books? Tight, gritty fiction. Check him out. And it’s the same thing I’ve been saying for a while. Just in nice info-graphic form. Everyone loves an info-graphic. 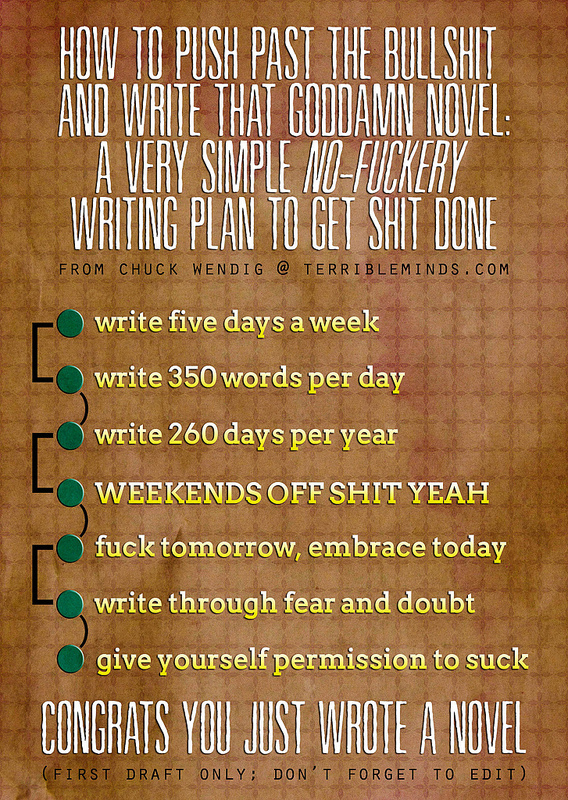 I love Chuck’s no BS attitude on writing advice. If you’re just starting, spend some time reading through Chuck’s writing advice. Or grab one of his writing books from amazon.